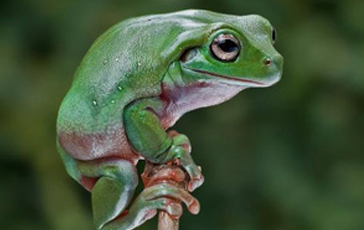 White’s Tree Frogs grow to an average of 4 inches and have a rubbery skin witch helps them to retain water. Its smooth green skin characteristically appears to be folded from its tendency to be obese. Occasionally it will change colours to brown.